“Heart Horse” is a personal project I’d had in mind for a long time before I finally took finger to shutter. I shot the first session and did the first interview and fell in love with the project, but, then, well, life got in the way. It's been over a year and I'm so excited to be getting back at it. “Heart Horse” is a series documenting the relationship between the professional equestrian and that one special “heart horse” in their career. Portrait Series meets Interview, it captures a side of the competitive professional we rarely see, but all relate to. 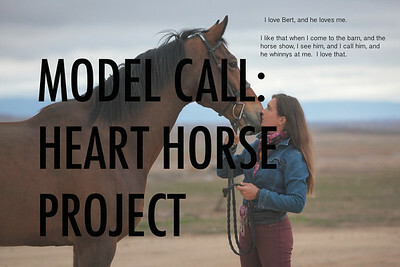 I am looking for more Heart Horses and their riders for this project! For more information please click on the image above.